Friday, November 17th. 7–8:30 p.m. Spend an evening with us and our invited scholars and artists for a screening and discussion of several fascinating short films by Mona Hatoum, including Measures of Distance, Roadworks, So Much I Want To Say, and Changing Parts. 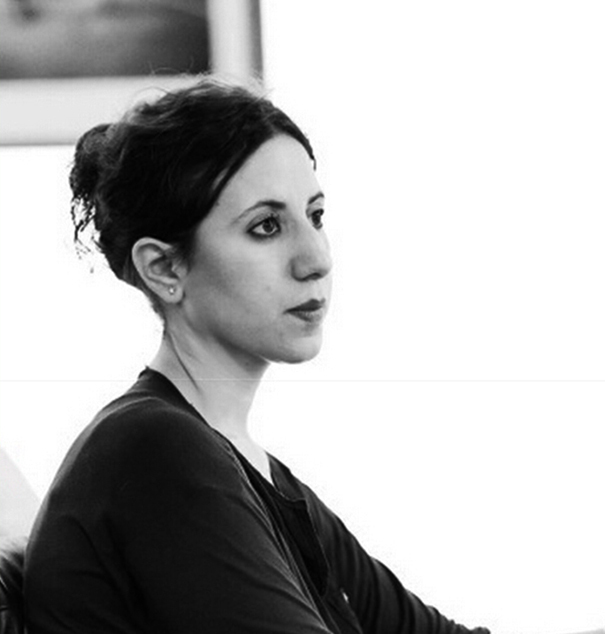 Aida Eltorie is an international and independent curator from Cairo, Egypt. Youngest female co-curator for the Egyptian Pavilion at the 54th International Venice Biennial, honoring the pioneering sound and video artist, Ahmed Basiony, one of the martyrs to the Egyptian Revolution in 2011, and co-introduced the Maldives Pavilion on ecological change to the 55th International Venice Biennial in 2013. Most recently, she was the co-Curator of the ARTos Foundation’s Japan branch for the European Capital of Culture in Pafos 2017. Eltorie has given a widespread of lectures and panel discussions on international projects at Art Basel, The American University in Cairo, The House of World Cultures (Berlin), The Royal College of Arts (Copenhagen), AICA Conference (Zurich), Latvia Contemporary Art Centre (Riga), the Mori Art Museum (Tokyo) and the ARTos Foundation (Nicosia and Tokyo). Latif Adnane is a freelance cultural critic originally from Rabat, Morocco. His writing has appeared in a number of publications, both online and off. Latif’s articles span across a variety of topics related to film and visual art in general. His work includes reflections on topics such as: film/literature, animation, film studies, in addition to reviews and commentaries on films. He has conducted interviews with globally renowned filmmakers. Latif taught Arabic Studies at the University of St. Thomas. Currently he teaches French and Spanish Languages and Film, and conducts workshops on Film Criticism.